For more updates, head to main Star Nomad II section! 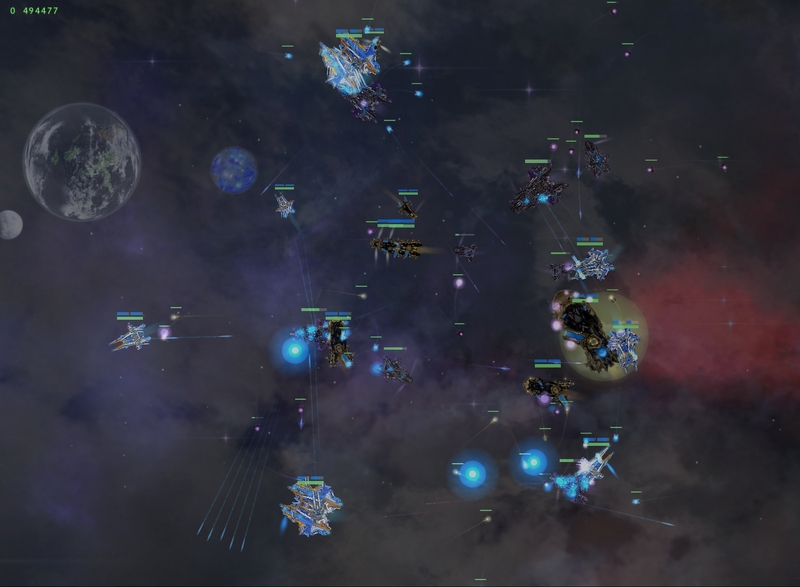 12th March 2015: Added a briefing on one of the major factions, the Starborn Federation. 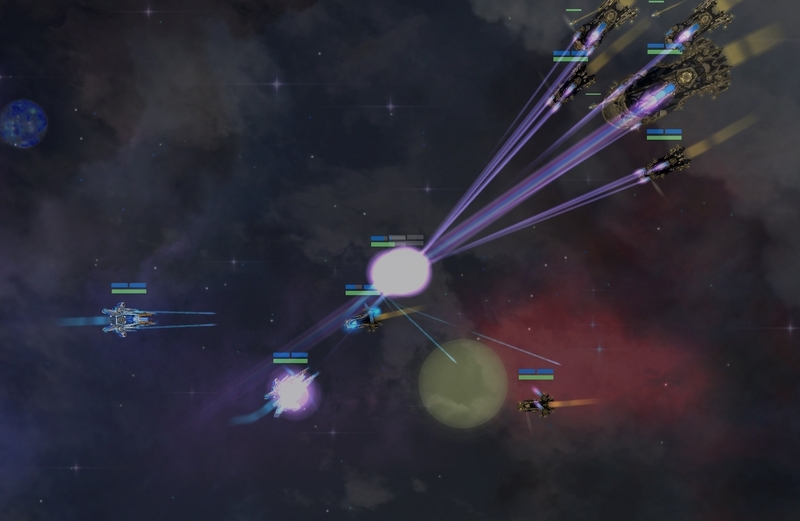 Star Nomad II (PC/MAC) can be quickly summed up as my dream game (something I’m finally brave enough to take on), combining some of my favourite games & mechanics from FTL (Faster Than Light), Mount & Blade, XCOM, Shadowrun & many Spacesims (Privateer, Escape Velocity, Freelancer) I grew up with. Player can side with a major faction or carve out their own Empire! 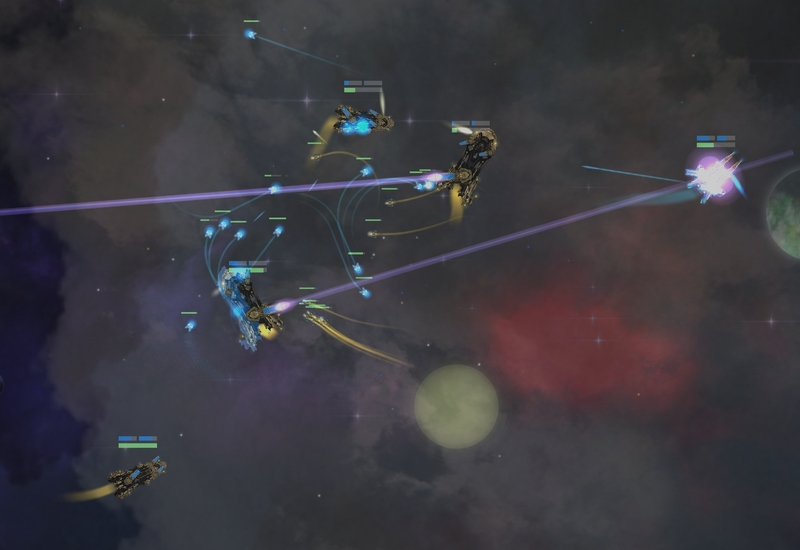 I recently got started on the combat side of things, this is a brief video of a small fleet battle. 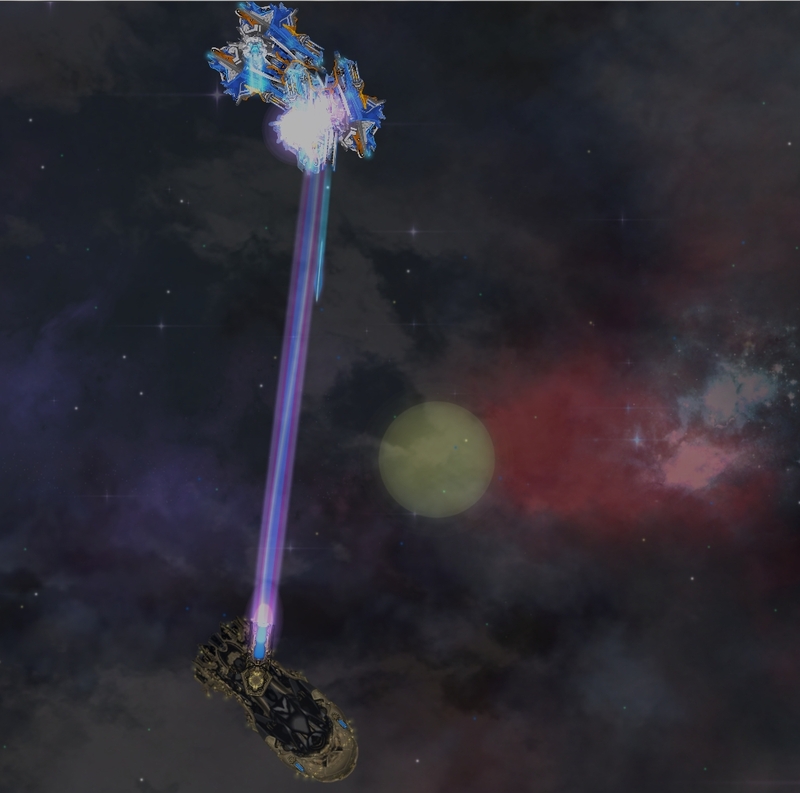 I welcome suggestions (cool weapons you love in space games?) or feedback. It’s gonna be a long haul with this one, I think I’ve bit off more than I can chew! 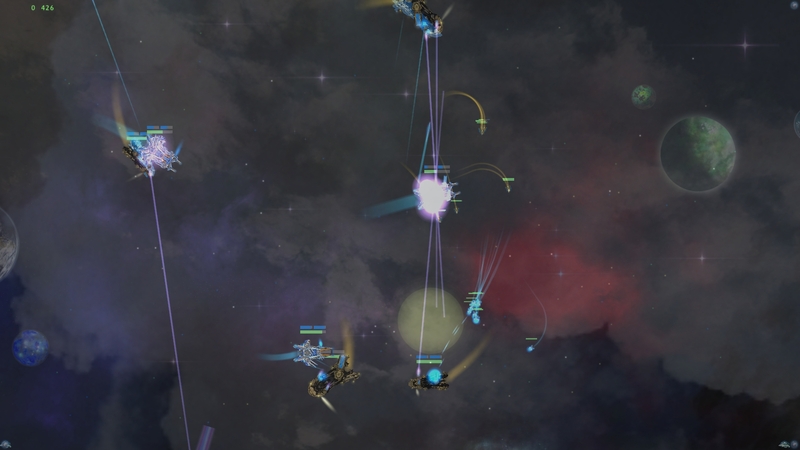 In a typical engagements, individual AI have priorities that best suit their weapons or speed/agility, ships with anti-fighter or drone weapons will disperse and chase those targets. Likewise, bigger ships will prioritize engaging other big ships where their guns can penetrate high armor better than smaller weapons. There’s a few different damage types, ie. Energy (bonus vs shields, penalty vs armor), Kinetic (neutral) and Plasma (penalty vs shields, bonus vs armor). 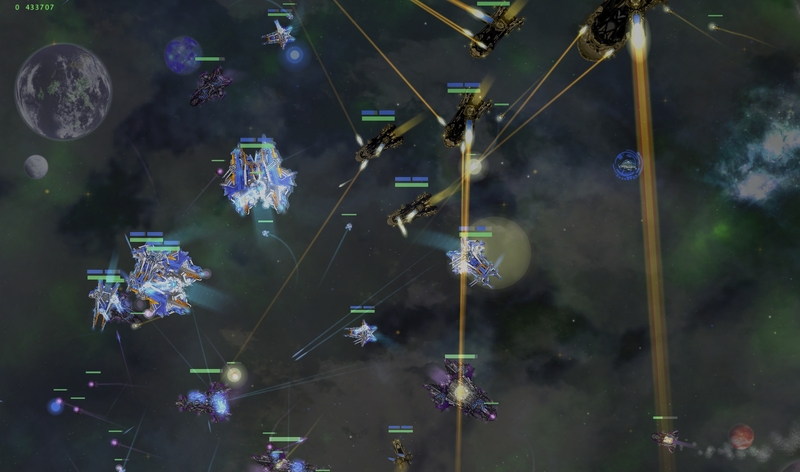 Armor has innate Armor Ratings that reduces incoming damage by a flat amount (as in Starcraft), so smaller fast firing weapons barely scratch heavy ship armor. 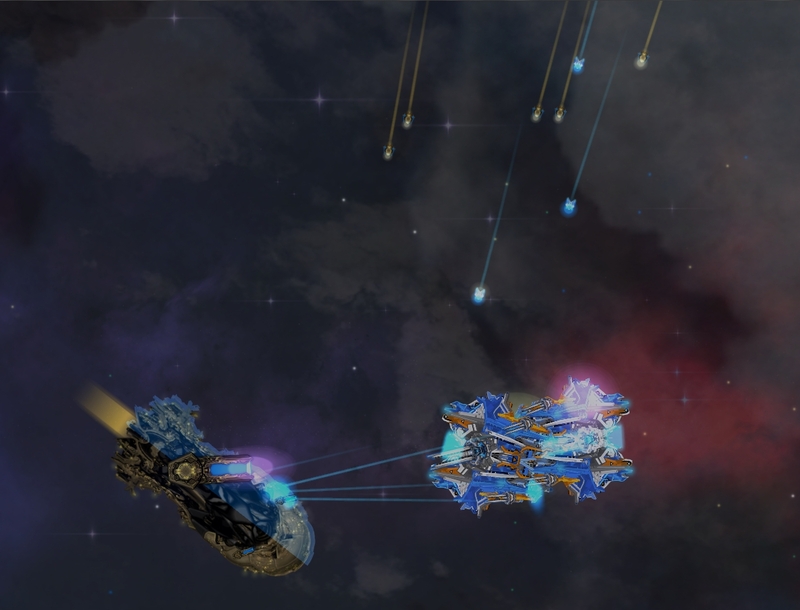 One of the problems with smaller ship classes is they fail hard in a blob fest engagement, often instant death due to the mass incoming fire. 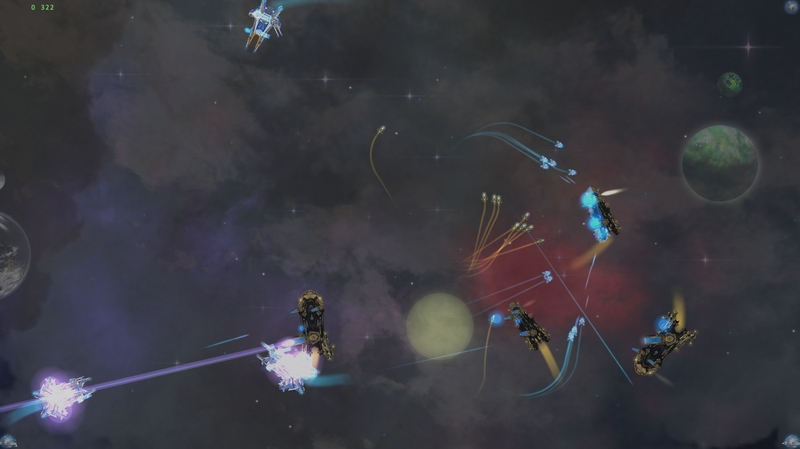 I’ve balanced this by giving ship classes an innate evasion, with a big bonus for fast Corvettes (smallest pilot-able ships), whilst drones have a very high evasion. 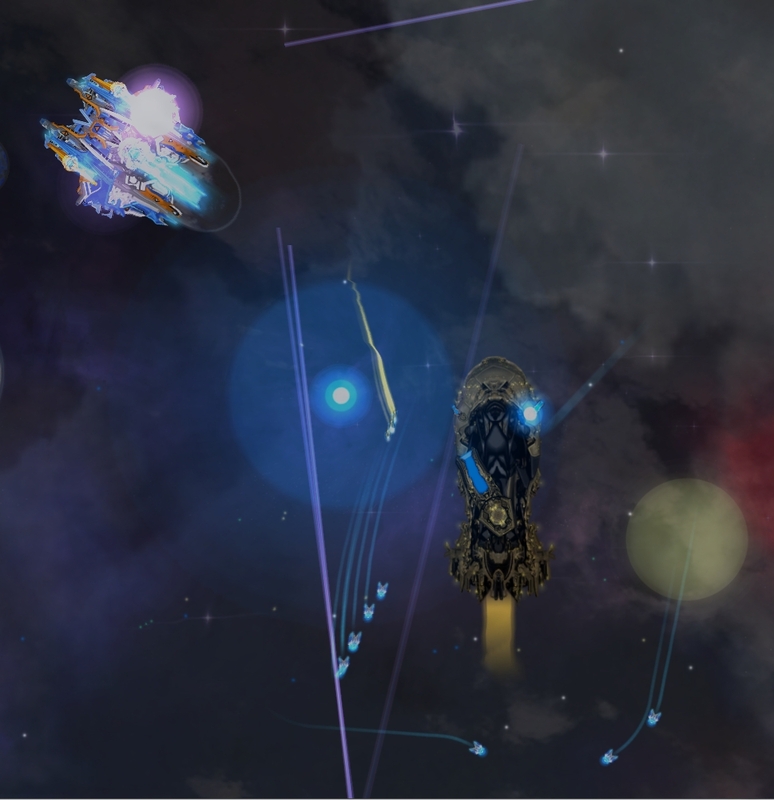 This evasion only triggers against weapons which are not designed to engage these targets, so an all-rounder fleet is required. 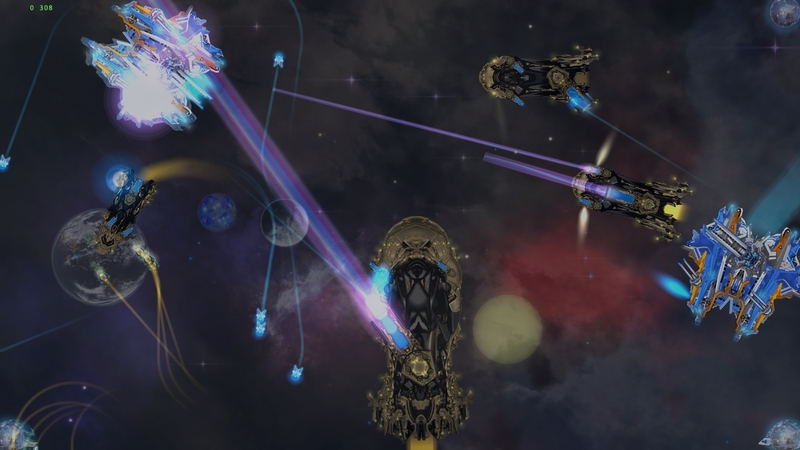 Going all big ships with massive guns puts your fleet at great danger against a bunch of smaller threats which they A) can’t track the fast moving ships as they weave & orbit and b) even when they fire, the target has a high evade chance to take zero damage! ps. I plan to have ships leave behind a wreck after destruction, player will able to loot it for cargo, credits or rare modified modules (to reverse engineer for a blueprint to craft).